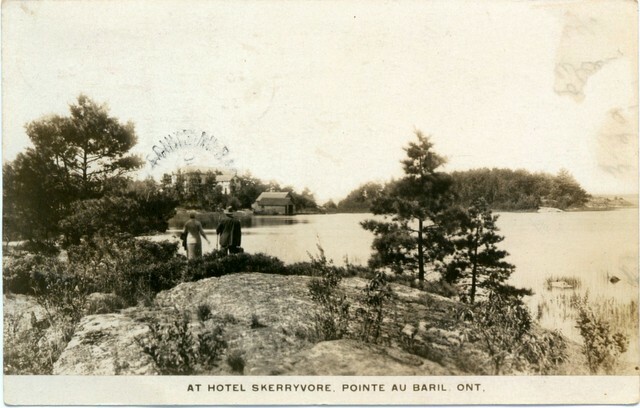 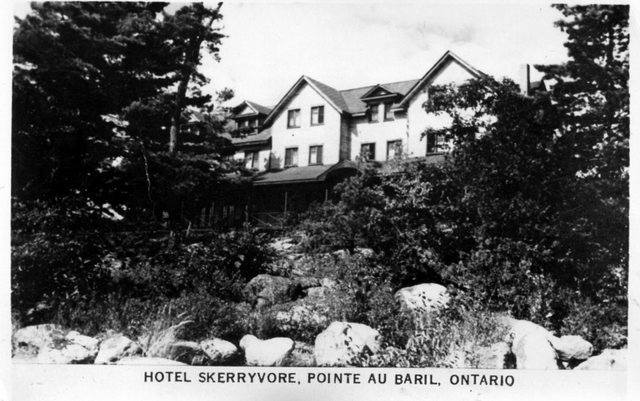 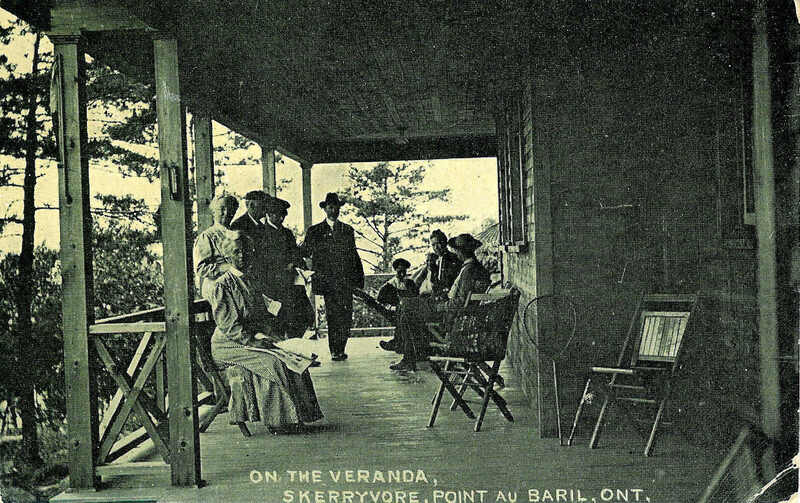 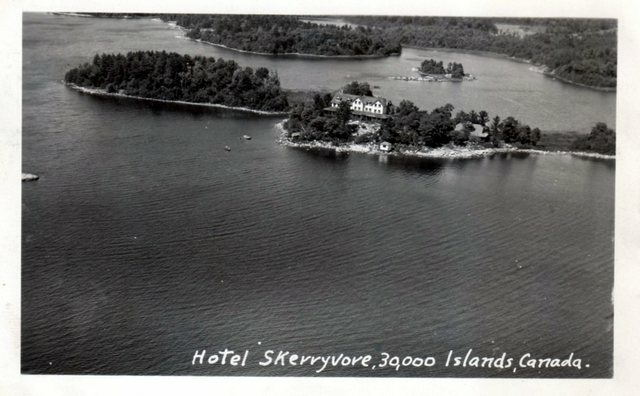 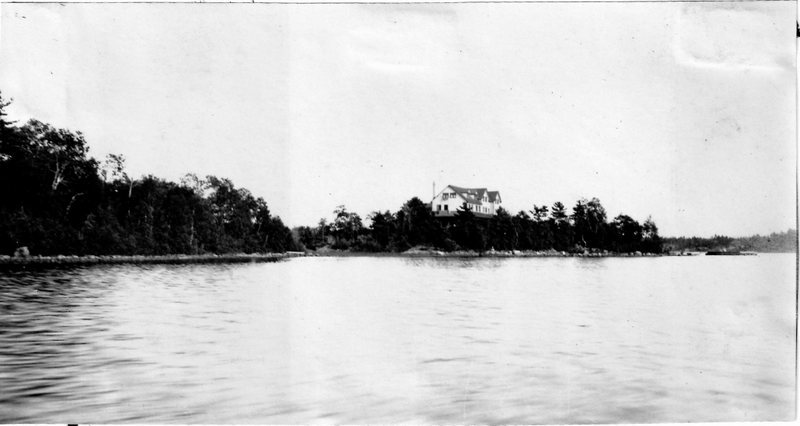 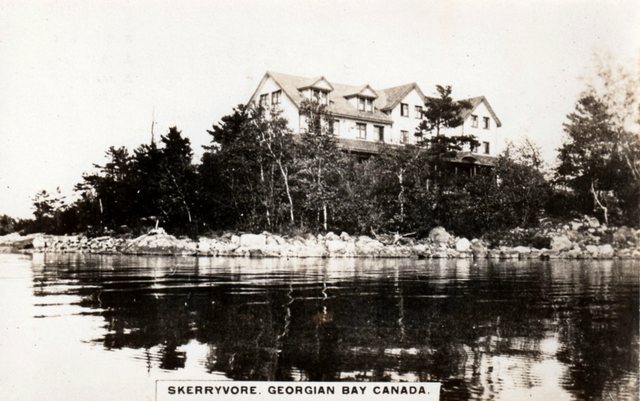 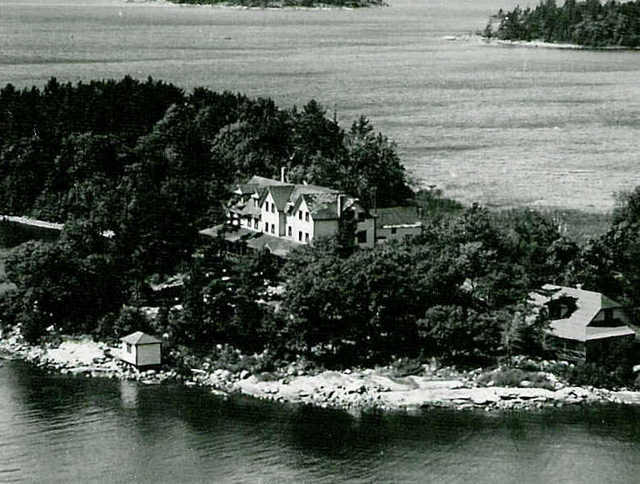 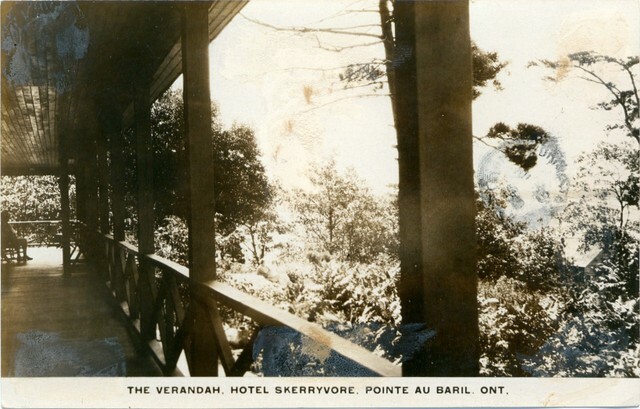 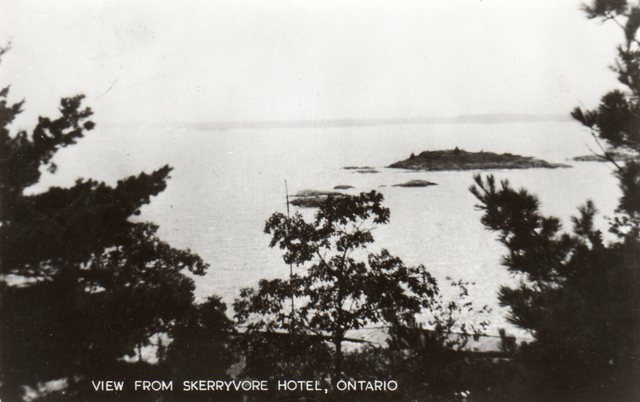 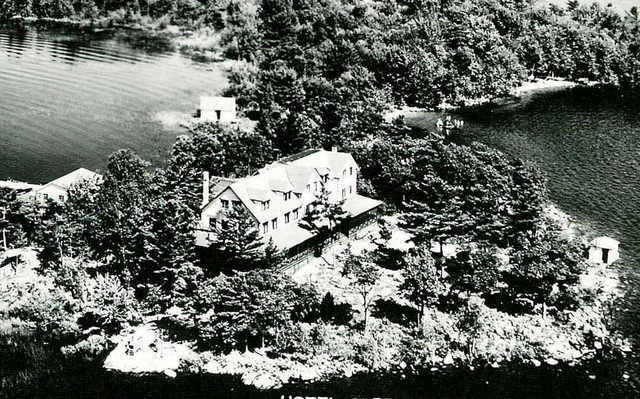 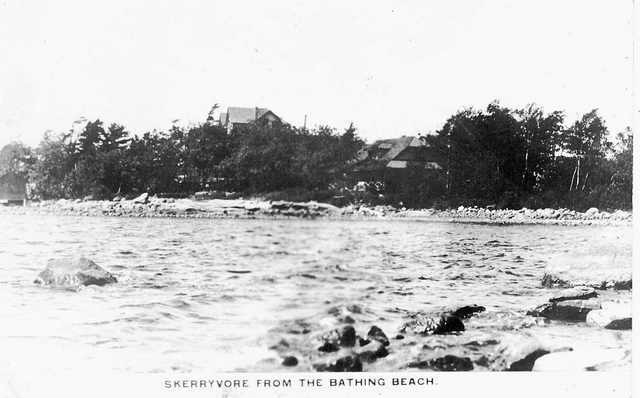 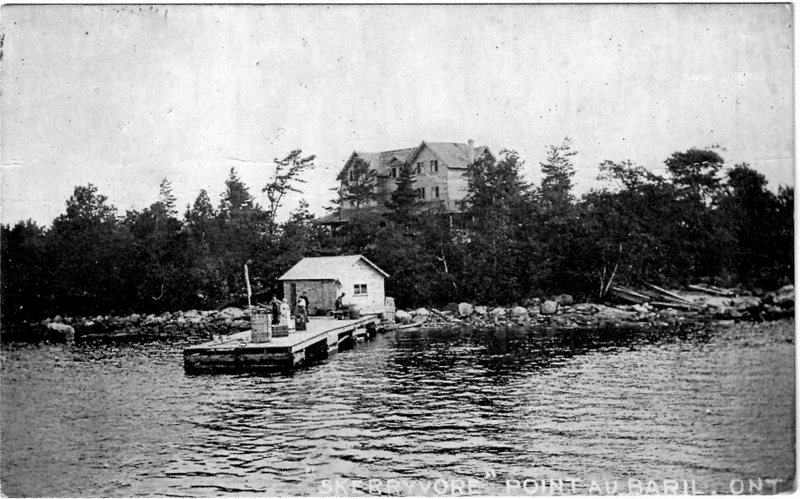 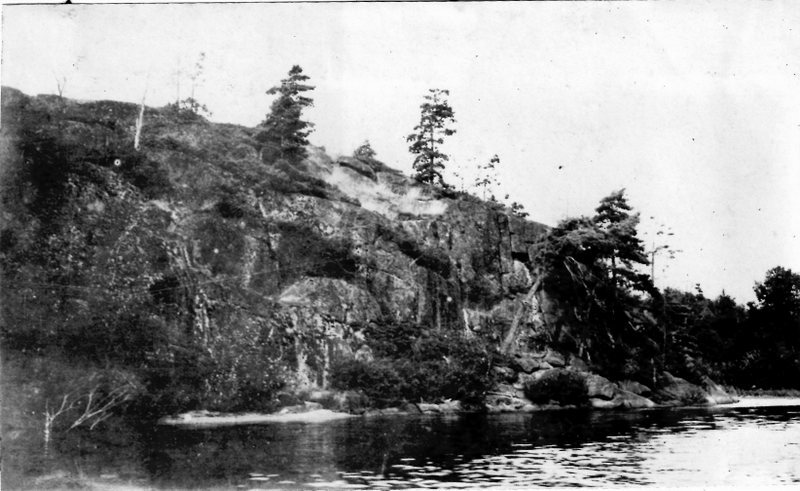 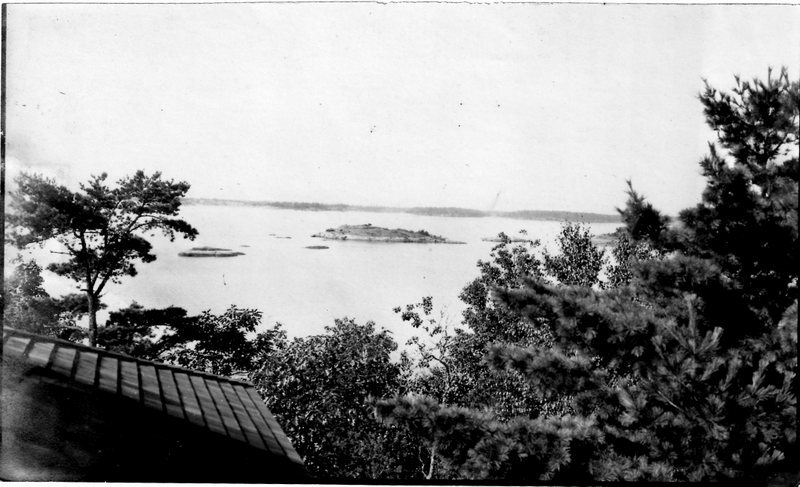 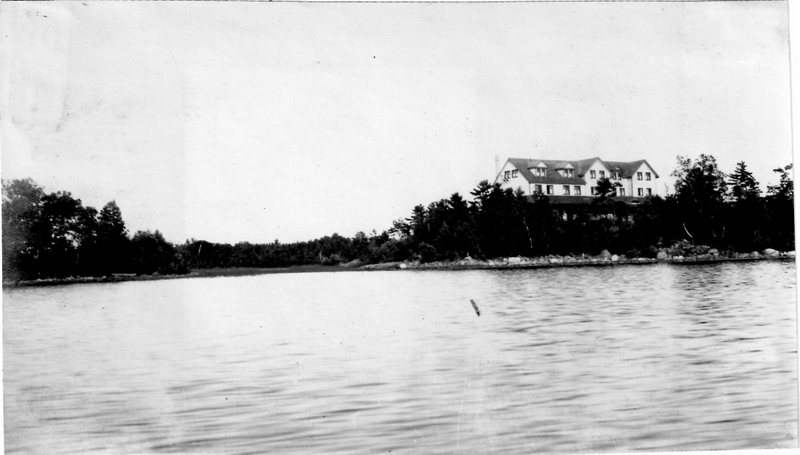 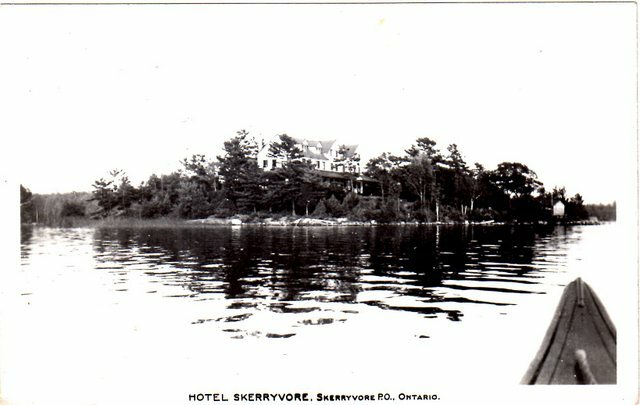 Skerryvore was named after the hotel that occupied the property at the end of Lookout Lane for many years, long before the community of Skerryvore was developed in the late 1960's. 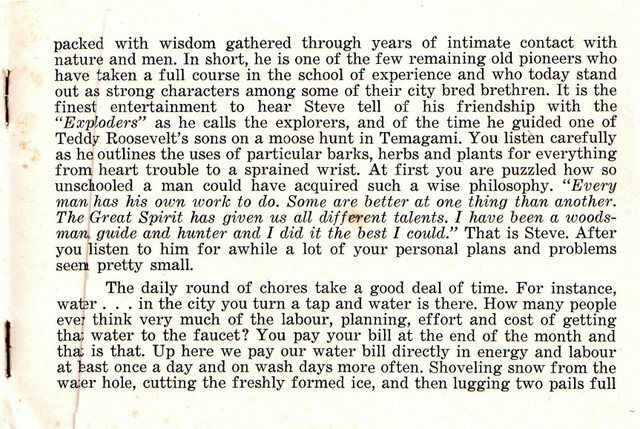 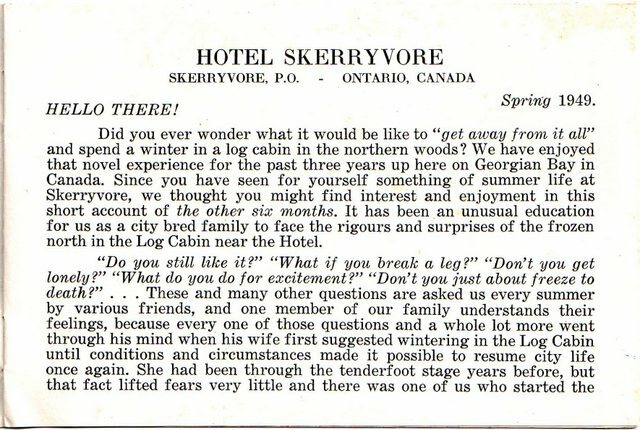 This page attempts to give the reader a flavour for what life was like in the days before the hotel ceased to function. 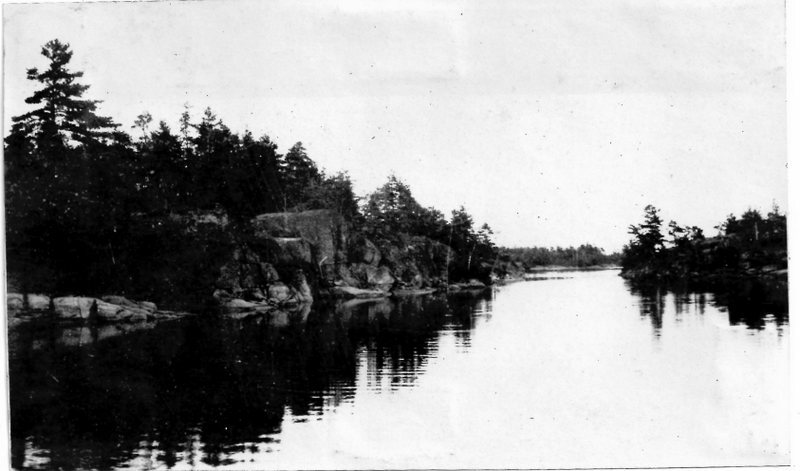 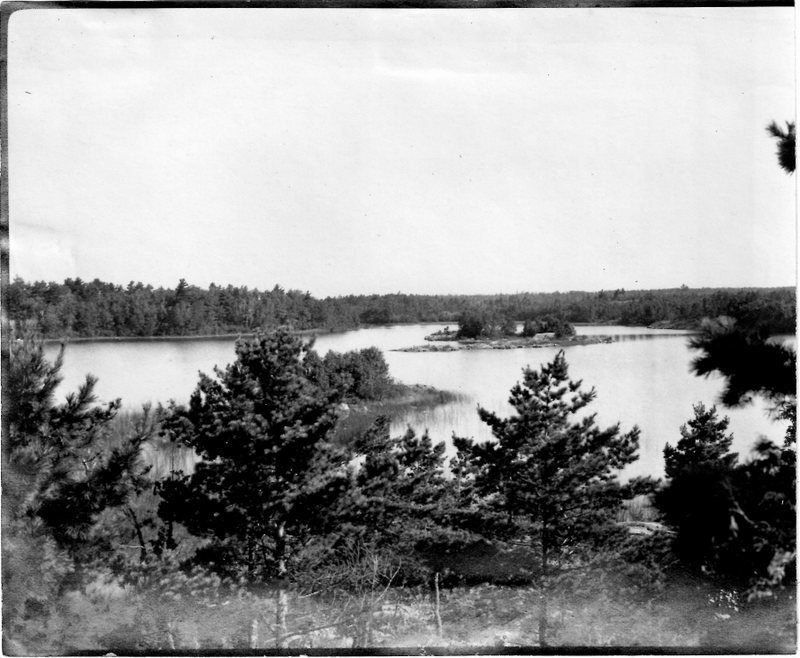 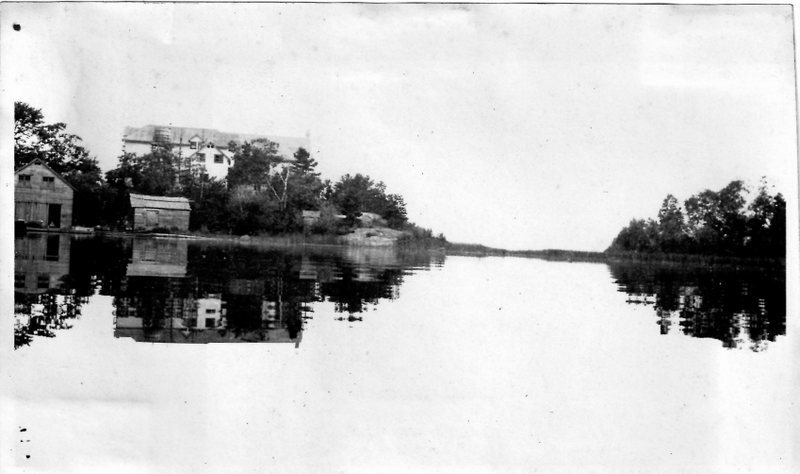 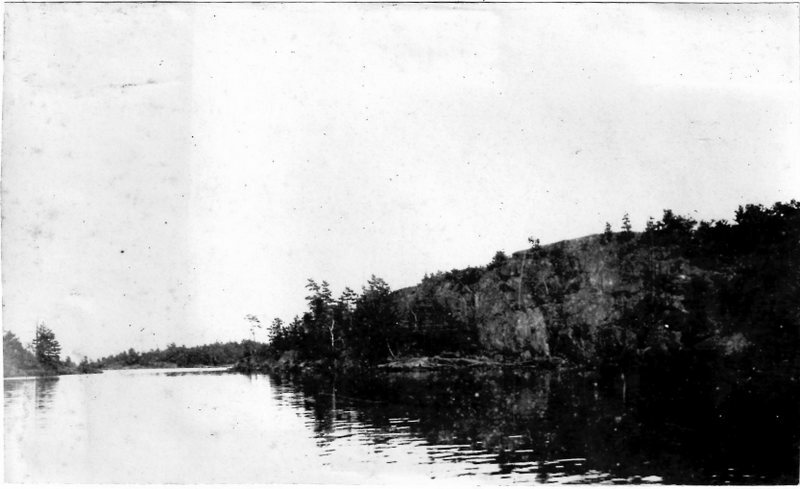 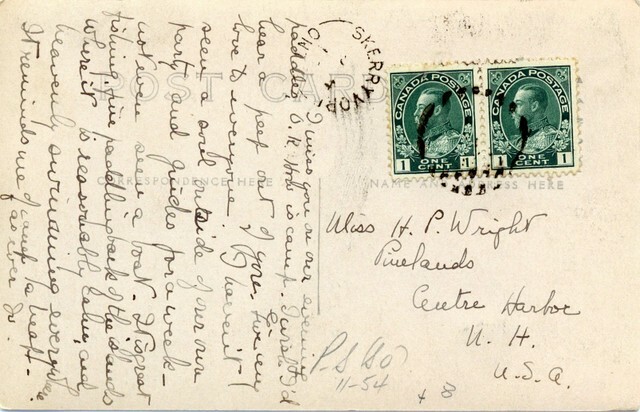 This is simply a collection of photographs and pictures obtained from old postcards. 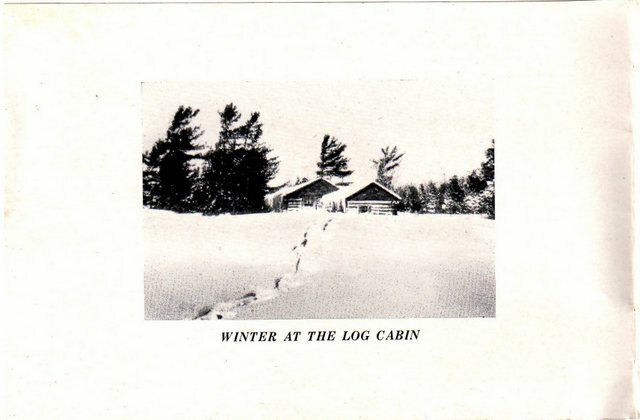 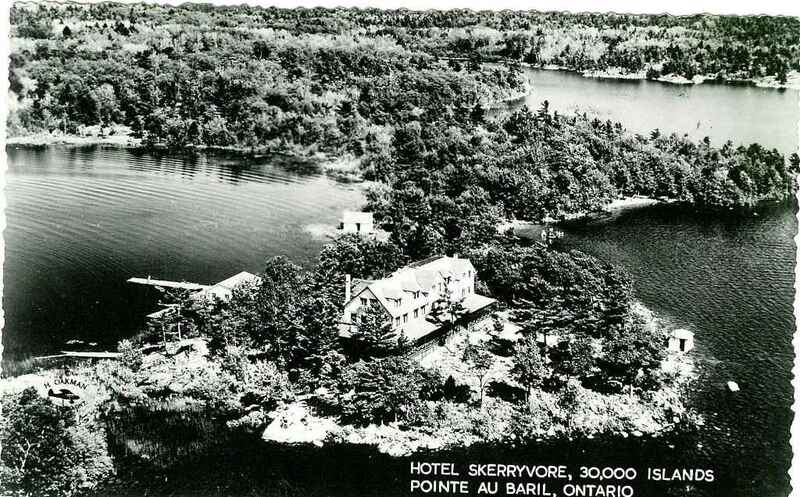 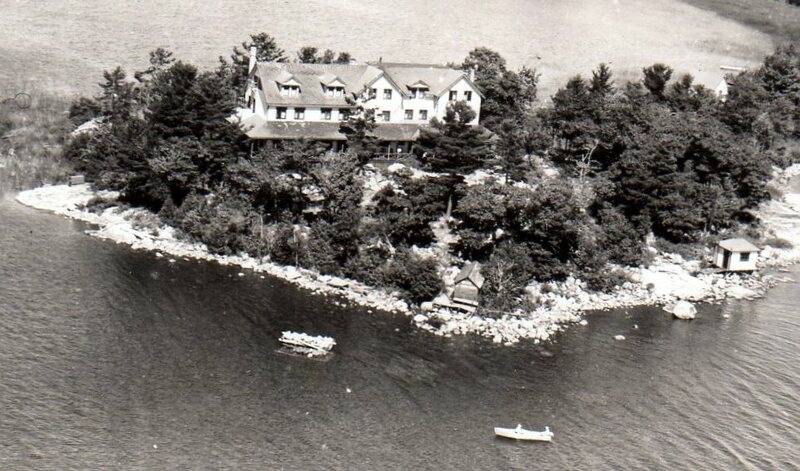 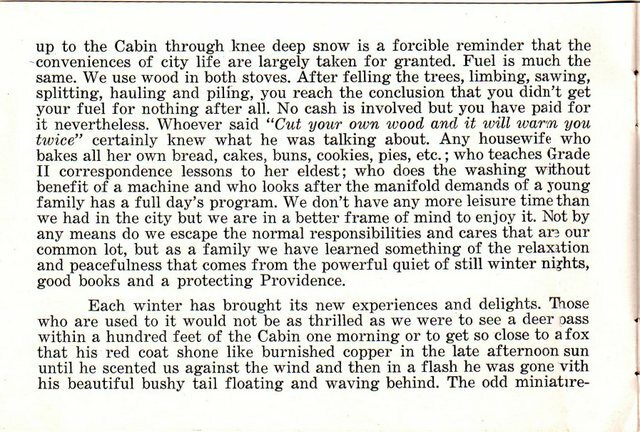 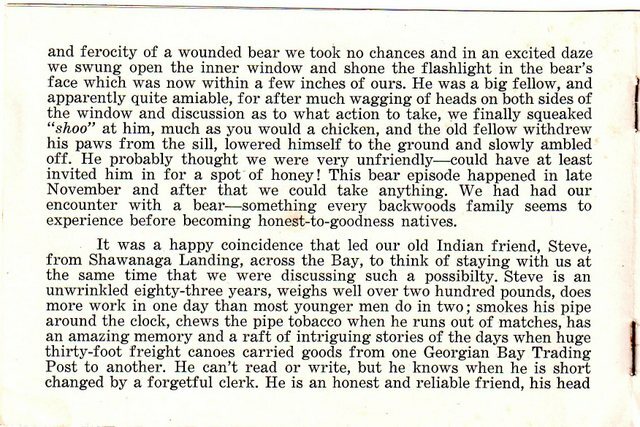 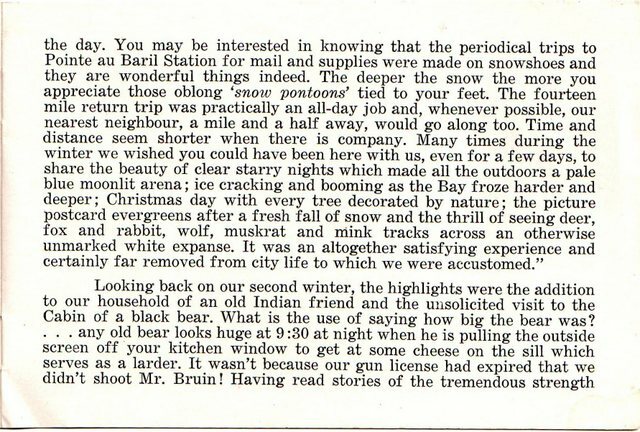 Included is a booklet that was sent to the customers of the hotel one year (spring 1949). 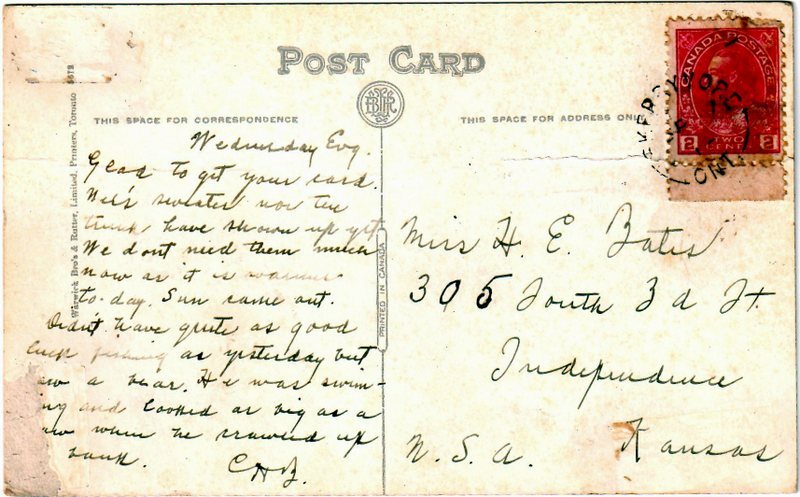 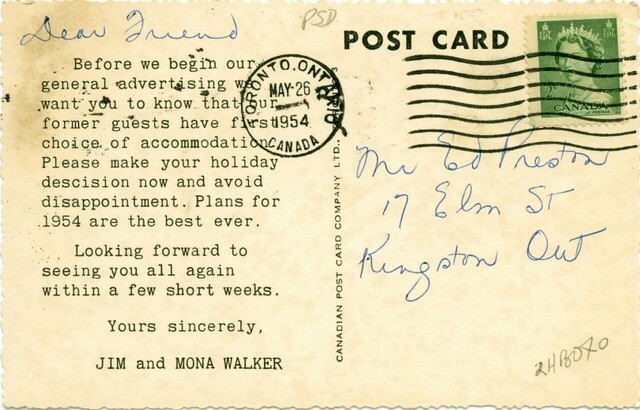 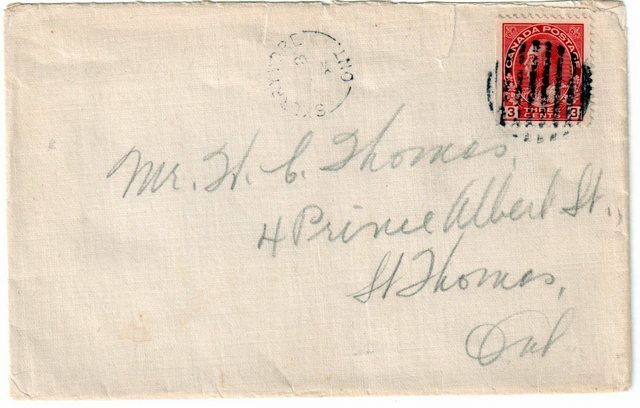 This was probably a one time thing as there is a post card below indicating the same idea of getting the guests to register early which was probably the normal method. 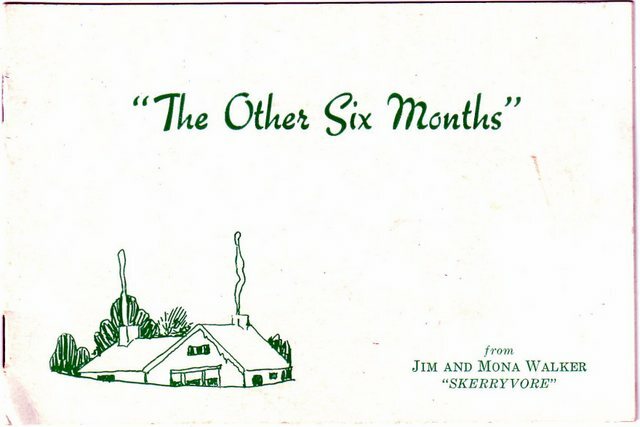 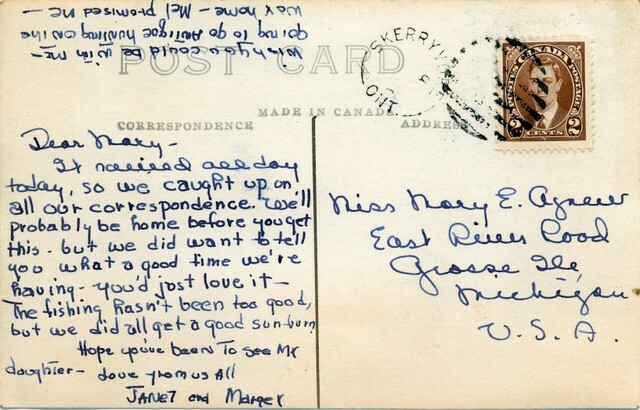 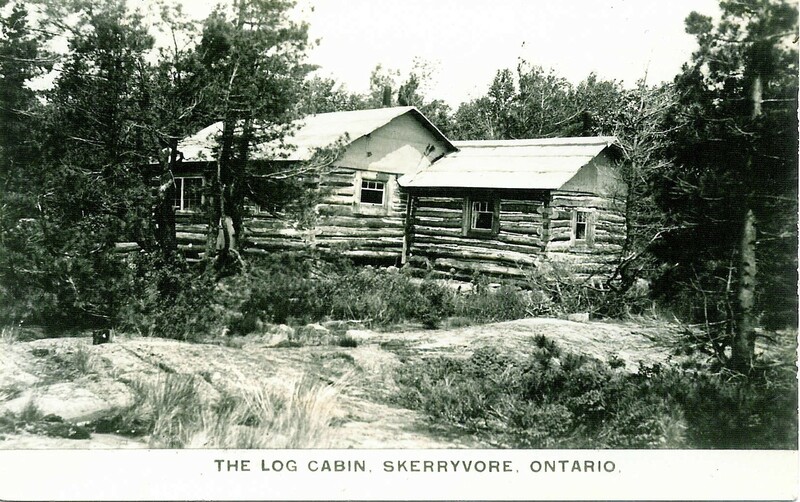 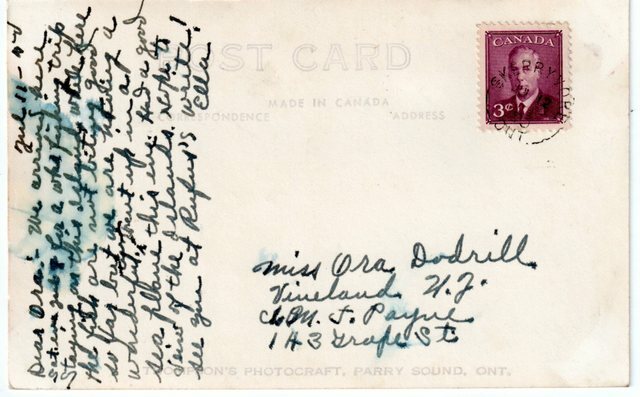 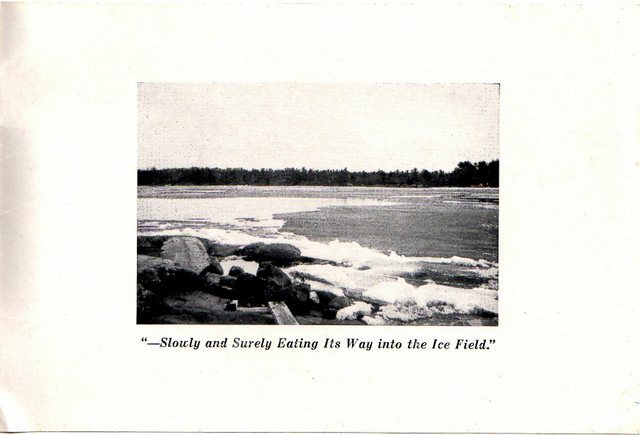 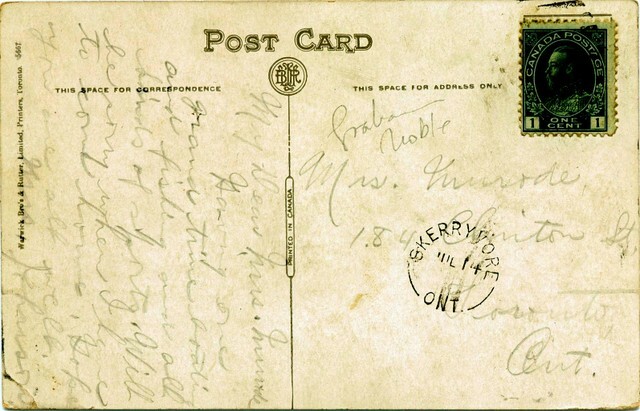 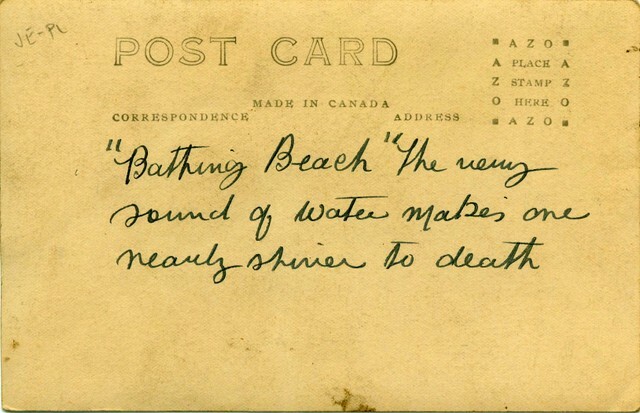 These cards are postmarked as "Skerryvore Ontario." 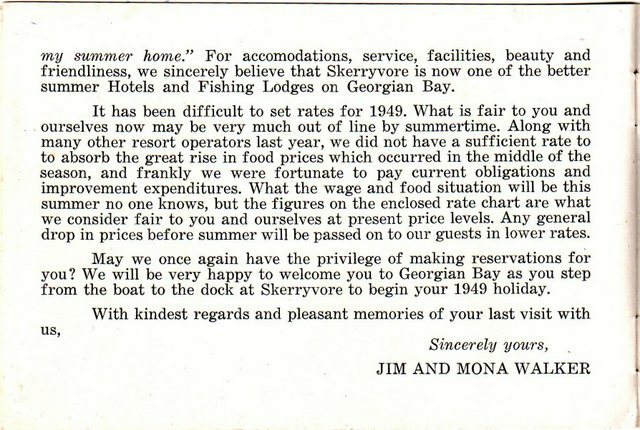 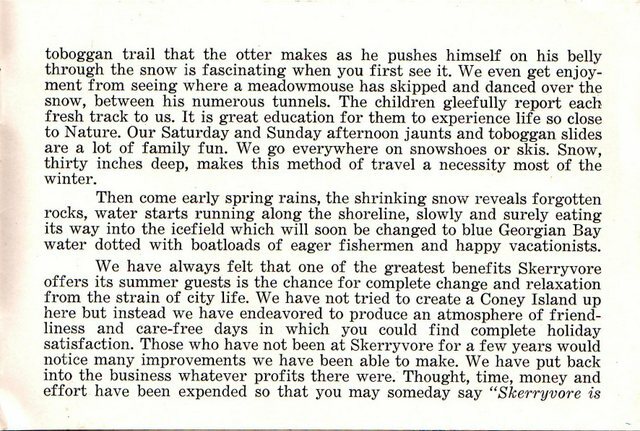 The following booklet was sent out to Hotel Skerryvore customers, encouraging them to vacation at the Skerryvore Hotel the following summer. 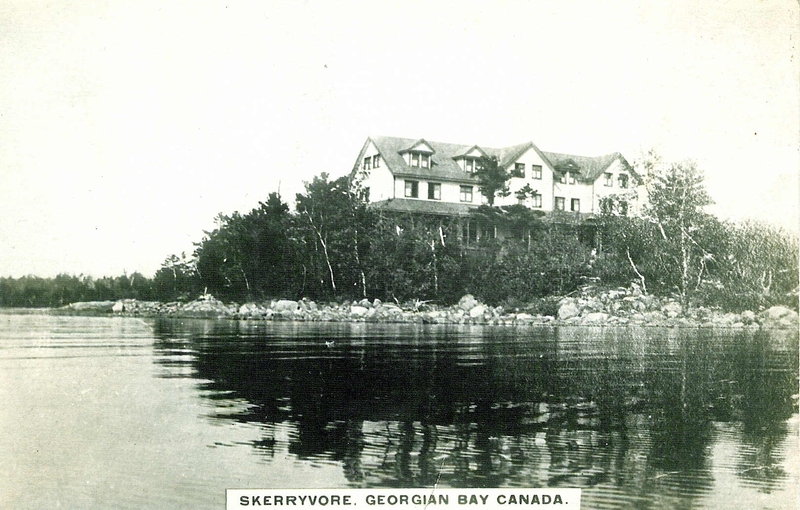 It indicates that the owners stayed in Skerryvore for the winter. 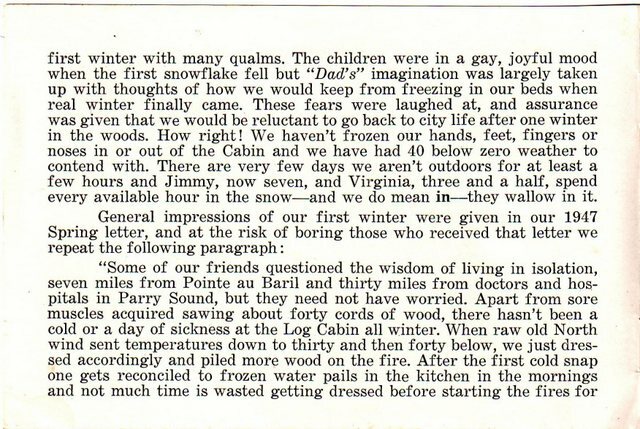 However it was tough going with lots of snow and a whole day's walk into Pointe au Baril for supplies.